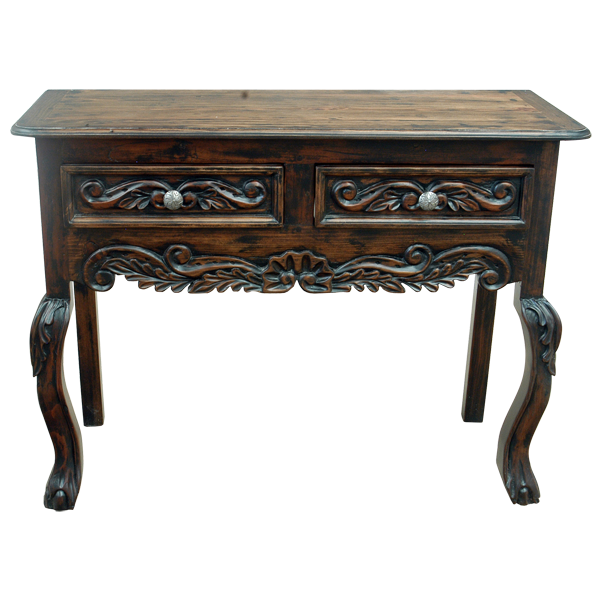 The exquisite, hand carved details and gorgeous, dark stain on this handcrafted console will be a wonderful addition to your Western décor. 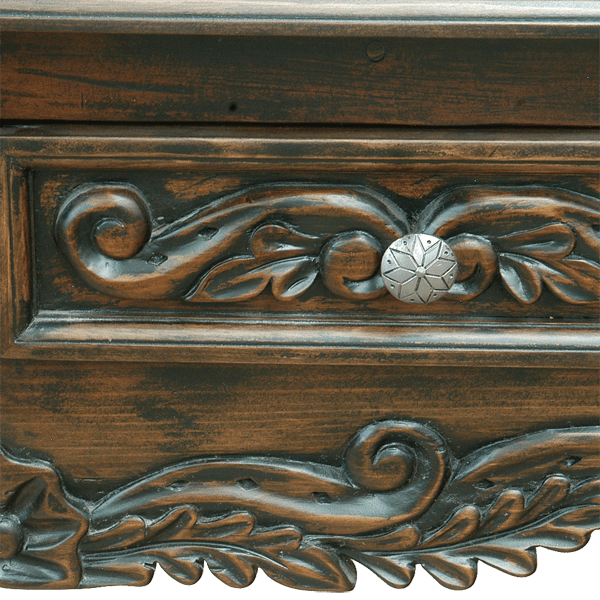 The console features twin drawers, and each drawer is embellished with gorgeous, hand carved, floral and scroll designs. Centered in each drawer is a silver finished, hand forged, iron, pull handle. 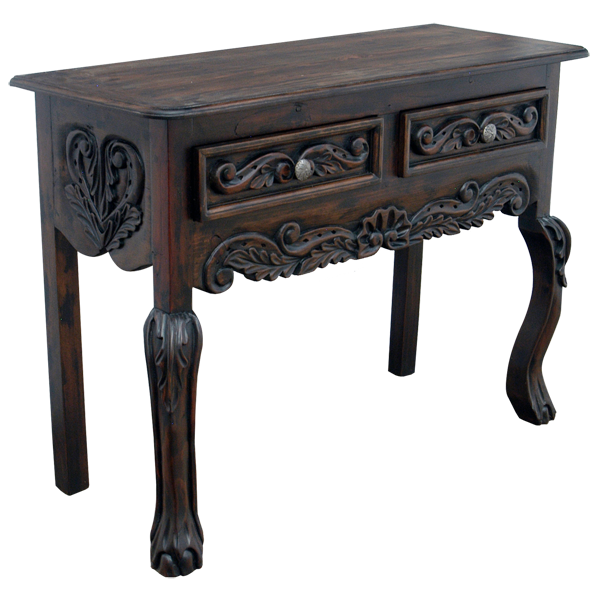 The area directly below the drawers is adorned with matching hand carved, floral and scroll designs. The console has an open, wide top with a classic, straight, top rim. 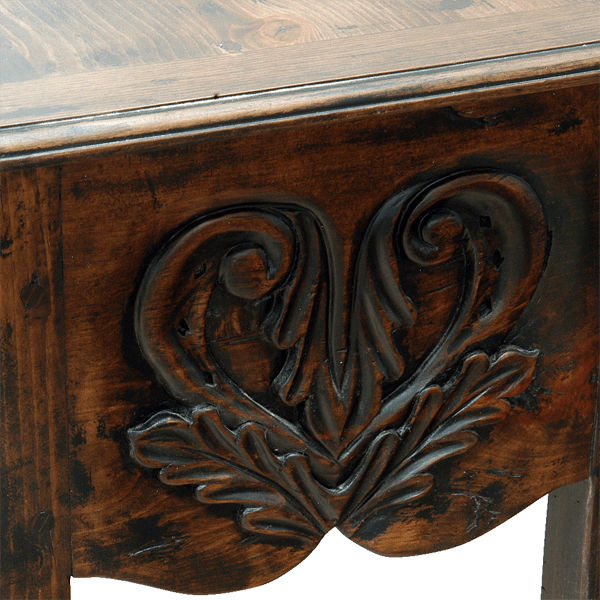 Each lateral side of the console has a rectangular cut panel, and the panel has lovely, matching, hand carved, floral and scroll designs. The console is supported by beautiful, curved, cabriole style legs in the front and square cut, straight legs in the back. It is made with the best, sustainable, solid wood available, and it is 100% customizable.